Rain approached like footsteps. And it fell like jewels; splashing, spraying, watering, refreshing the earth. I ran in the midst of this, my feet slapping the wet pavement, my legs hopping puddles, wisps of hair flying, my heart free. This source of water, this God-given gift, this that enables us to live life -- this rain. I thanked God and praised Him. I let go. And I let Jesus take charge of my life. I realize that letting go and letting God transform me is what I always need to do. I need to always be able to let go during those stormy times in life, and let God take charge over them. 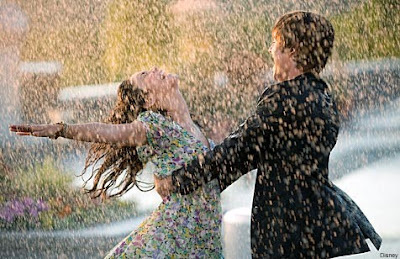 Let's dance in the rain with Jesus. Let's embark on a life time journey -- letting God be the number one person in our life. Letting God be the one who can help us dance in the rain -- dance in the storms of our life. Will you embark on this journey, too? beautiful post, by the way! Oh how wonderful - I love this idea. 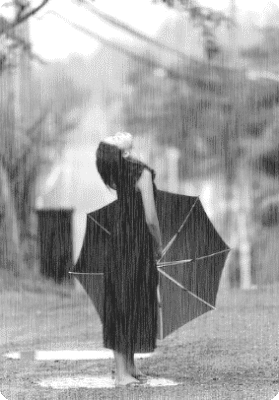 To dance in the rain with Jesus. Thanks so much for stopping by my blog and following. I'm now following you too!